Law Web: Whether Arbitral Tribunal Can Make Representation To HC For Contempt If Parties Violate Its Orders? Whether Arbitral Tribunal Can Make Representation To HC For Contempt If Parties Violate Its Orders? In Sundaram Finance Ltd. v. NEPC India Ltd ., (1999) 2 SCC 479, the Supreme Court observed that though section 17 gives the arbitral tribunal the power to pass orders, the same cannot be enforced as orders of a court and it is for this reason only that section 9 gives the court power to pass interim orders during the arbitration proceedings. Subsequently, in M.D. Army Welfare Housing 9 Organisation v. Sumangal Services Pvt. Ltd. , (2004) 9 SCC 619 the Court had held that under section 17 of the Act no power is conferred on the arbitral tribunal to enforce its order nor does it provide for judicial enforcement thereof. 48. In the face of such categorical judicial opinion, the Delhi High Court attempted to find a suitable legislative basis for enforcing the orders of the arbitral tribunal under Section 17 in the case of Sri Krishan v. Anand , (2009) 3 Arb LR 447 (Del) (followed in Indiabulls Financial Services v. Jubilee Plots , OMP Nos.452-453/2009 Order dated 18.08.2009). The Delhi High Court held that any person failing to comply with the order of the arbitral tribunal under section 17 would be deemed to be "making any other default" or "guilty" of any contempt to the arbitral tribunal during the conduct of the proceedings" under section 27(5) of Act. The remedy of the aggrieved party would then be to apply to the arbitral tribunal for making a representation to the Court to mete out appropriate punishment. Once such a representation is received by the Court from the arbitral tribunal, the Court would be competent to deal with such party in default as if it is in contempt of an order of the Court, i.e., either under the provisions of the Contempt of Courts Act or under the provisions of Order 39 Rule 2A Code of Civil Procedure, 1908. 49. The Commission believes that while it is important to provide teeth to the interim orders of the arbitral tribunal as well as to provide for their enforcement, the judgment of the Delhi High Court in Sri Krishan v. Anand is not a complete solution. The Commission has, therefore, recommended amendments to section 17 of the Act which would give teeth to the orders of the Arbitral Tribunal and the same would be statutorily enforceable in the same manner as the Orders of a Court. In this respect, the views of the Commission are consistent with (though do not go as far as) the 2006 amendments to Article 17 of the UNCITRAL Model Law. Pursuant to this report, sub-section(2) to Section 17 was added by the Amendment Act 2015, so that the cumbersome procedure of an Arbitral Tribunal having to apply every time to the High Court for contempt of its orders would no 10 longer be necessary. Such orders would now be deemed to be orders of the Court for all purposes and would be enforced under the Civil Procedure Code, 1908 in the same manner as if they were orders of the Court. Thus we do not find Shri Rana Mukherjee's submission to be of any substance in view of the fact that Section 17(2) was enacted for the purpose of providing a "complete solution" to the problem. Accordingly, we allow the appeal and set aside the judgment of the Bombay High Court. The matter is remanded to decide the alleged contempt on facts. The present appeal arises from the judgment of the Bombay High Court dated 27th October, 2015, in which the High Court has construed Section 27(5) of the Arbitration and Conciliation Act, 1996 (hereinafter referred to as "the Act") in a somewhat restrictive manner. The facts necessary to appreciate the point involved in this appeal are that on 7th October, 2010, the sole Arbitrator appointed by the parties passed an interim order under Section 17 of the said Act, in which it was mentioned that no further flats were to be disposed of without the leave of the Arbitral Tribunal. In breach of this order, it is alleged that on 14th October, 2010 the respondent in fact 2 transferred five such flats. By the order passed on 22nd March, 2012, it was held by the learned Arbitrator that the order of 7th October, 2010 had, in fact, been breached by the respondent and certain other interim directions were made by the aforesaid order. Ultimately, by an order dated 5th May, 2014, the learned Arbitrator referred the aforesaid contempt of the order dated 7th October, 2010 to the High Court to pass necessary orders thereon under Section 27(5) of the Act. In the judgment under appeal, the High Court held: "In view of the above discussion, Section 27(5) of the Arbitration and Conciliation Act, 1996 does not empower the Tribunal to make representation to the Court for contempt if the orders including the interim orders passed by the Arbitrator except in respect of taking evidence are violated by the party. The Contempt Petition being the representation made by the Tribunal is beyond the period of limitation and is not maintainable in law. Moreover, the final award of Rs.8 crores is granted in favour of the petitioner by the Arbitrator." We have heard learned counsel for the parties. Shri B.H. Marlapalle, learned senior counsel appearing on behalf of the appellant, has argued that Sections 9 and 17 being alternative remedies available to the parties before the Tribunal, if orders made under Section-17 were unenforceable, they would be mere ropes of sand as a result of which the provision would be rendered otiose. He also argued that Section 27 of the Act does not leave any doubt as to the scope and ambit of the Court's power to punish 3 for contempt of orders made by the Arbitral Tribunal. He relied upon a Delhi High Court judgment, and a judgment delivered by this Court reported in 2007 (13) SCC 220. On the other hand, Shri Rana Mukherjee, learned senior counsel appearing on behalf of the respondent, has supported the High Court judgment. However, he very fairly states before us that he does not support the High Court judgment on the aspect of limitation. According to him, the marginal note of Section 27 makes it clear that Section 27(5) would only apply to assistance in taking evidence and not to any other contempt that may be committed. [(2) Where, before the commencement of the arbitral proceedings, a Court passes an order for any interim measure of protection under sub-section (1), the arbitral proceedings shall be commenced within a period of ninety days from the date of such order or within such further time as the Court may determine. (3) The Court may, within its competence and according to its rules on taking evidence, execute the request by ordering that the evidence be provided directly to the arbitral tribunal. (4) The Court may, while making an order under sub-section (3), issue the same processes to witnesses as it may issue in suits tried before it. If Section 27(5) is read literally, there is no difficulty in accepting the plea of learned senior advocate for the appellant, because persons failing to attend in accordance with the court process fall under a separate category from "any other default". Further, the Section is not confined to a person being guilty of contempt only when failing to attend in accordance with such process. The Section specifically states that persons guilty of any 7 contempt to the Arbitral Tribunal during the conduct of the Arbitral proceedings is within its ken. The aforesaid language is, in fact, in consonance with the Chapter heading of Chapter V, "Conduct of arbitral proceedings". Further, it is well settled that a marginal note can be used as an internal aid to interpretation of statutes only in order to show what is the general drift of the section. It may also be resorted to when the plain meaning of the section is not clear. In the present case we must go by the plain meaning of sub-section (5). This being the case, we find it difficult to appreciate the reasoning of the High Court. Also, in consonance with the modern rule of interpretation of statutes, the entire object of providing that a party may approach the Arbitral Tribunal instead of the Court for interim reliefs would be stultified if interim orders passed by such Tribunal are toothless. It is to give teeth to such orders that an express provision is made in Section 27(5) of the Act. In fact, the Delhi High Court by the judgment dated 18th August, 2009, reported in 2009 (112) Delhi Reported Judgments 657, has correctly construed Section 27(5) of the Act. Further, it must be remembered that this Court in M/s Ambalal Sarabhai Enterprises vs. M/s Amrit Lal & Co. & Anr. (2001) 8 SCC 397 has held that parties to arbitration proceedings are put to an election as to whether to apply for interim relief before the Tribunal under Section 17 or 8 before the Court under Section 9. Such election would be meaningless if interim orders passed by the Arbitral Tribunal were to be written in water, as all parties would then go only to the Court, which would render Section 17 a dead letter. Coming to Shri Rana Mukherjee's submission that sub-section (2) of Section 17 introduced by the 2015 Amendment Act now provides for the necessary remedy against infraction of interim orders by Tribunal, suffice it to state that the Law Commission itself, in its 246th report, found the need to go one step further than what was provided in Section 27(5) as construed by the Delhi High Court (supra). 46. Under section 17, the arbitral tribunal has the power to order interim measures of protection unless the parties have excluded such power by agreement. 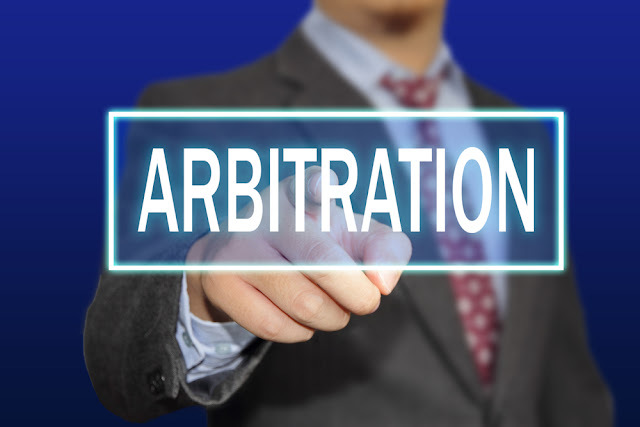 Section 17 is an important provision, which is crucial to the working of the arbitration system, since it ensures that even for the purposes of interim measures, the parties can approach the arbitral tribunal rather than await orders from a Court. The efficacy of section 17 is however, seriously compromised given the lack of any suitable statutory mechanism for the enforcement of such interim orders of the arbitral tribunal. 47. In Sundaram Finance Ltd. v. NEPC India Ltd ., (1999) 2 SCC 479, the Supreme Court observed that though section 17 gives the arbitral tribunal the power to pass orders, the same cannot be enforced as orders of a court and it is for this reason only that section 9 gives the court power to pass interim orders during the arbitration proceedings. Subsequently, in M.D. Army Welfare Housing 9 Organisation v. Sumangal Services Pvt. Ltd. , (2004) 9 SCC 619 the Court had held that under section 17 of the Act no power is conferred on the arbitral tribunal to enforce its order nor does it provide for judicial enforcement thereof. Thus we do not find Shri Rana Mukherjee's submission to be of any substance in view of the fact that Section 17(2) was enacted for the purpose of providing a "complete solution" to the problem. Accordingly, we allow the appeal and set aside the judgment of the Bombay High Court. The matter is remanded to decide the alleged contempt on facts. It would be open for the respondent to argue before the High Court that he has, on the facts of the case, not committed any contempt.